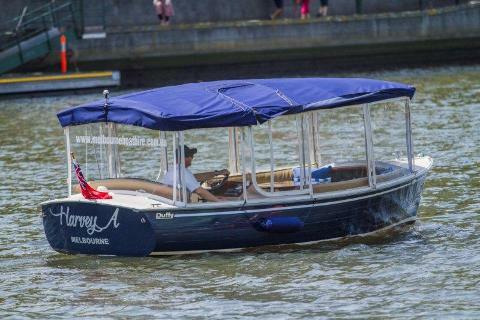 Why not self-drive along the Yarra River. There is absolutely no experience required so imagine, you are the master of your boat! 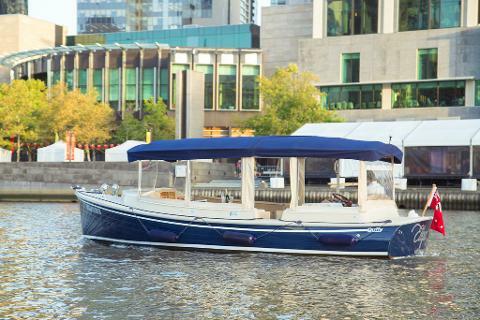 Enjoy the beauty of the Yarra as you meander across the waterways. You could be a local Melbournian wishing to explore this part of Melbourne with your loved ones or a visitor. Regardless, our signature vessels will not disappoint you. View this city in a different way as you pass buildings and iconic structures. If you are travelling in a group, why not surprise them with a food and beverage package to make it a complete experience. Alternatively, pack your own picnic or as we like to call it BYO – Bring Your Own and stop by and enjoy a picnic or a BBQ on the banks of the Yarra River dotted by dozens of BBQ pit stops. Choose one and settle down for some sizzle. Along the way you can view the majestic Botanical Gardens and visit the only island on the Yarra River, Herring Island. 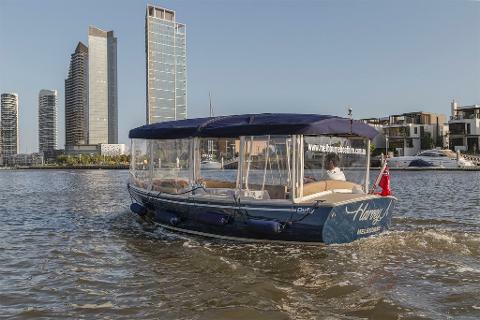 Or, how about something different, why not cruise past the World-Famous Crown Casino and head towards the Docklands for some delightful seafood options or the plethora of International cuisines on offer. If it’ just the both of you, stop by Southbank for some snazzy cocktail or two before heading off into the sunset. Get in touch to book your Self-Drive Hire experience today! Looking for the ultimate romantic way to propose to your loved one? 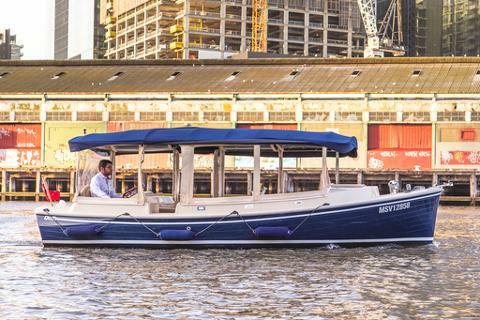 View Melbourne from the best angle and explore parts of the Yarra River rarely seen!